Overview… a school principal and former boyfriend of Donna Meagle. 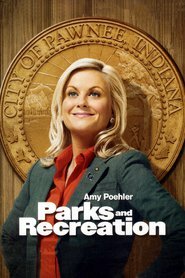 Donna, a feisty worker at the Parks and Recreation Department in Pawnee, Ind., broke up with Joe because she felt he was too nice and boring for her. But after running into him again, she realizes that his goodness might not be such a bad thing. Personality… wholesome, sweet, and handsome. Joe is a genuinely kind and compassionate person. He is always ready to help a friend or student, and has even been known to provide baked goods to his friends. Joe really is a great catch, and Donna better hope that she hasn’t realized that too late. Joe's popularity ranking on CharacTour is #1884 out of 5,000+ characters. See our top-ranked characters and read their profiles.